I've been critical of Auckland Council's recent decision to give Eden Park $10m in a grant, instead of a loan primarily because it doesn't address any of the underlying issues. It's a lot of public funds to be handing over to a private trust with no chance of return so it's essential that it's being well invested. Time will tell if that happens. Is a sunken waterfront stadium the answer? 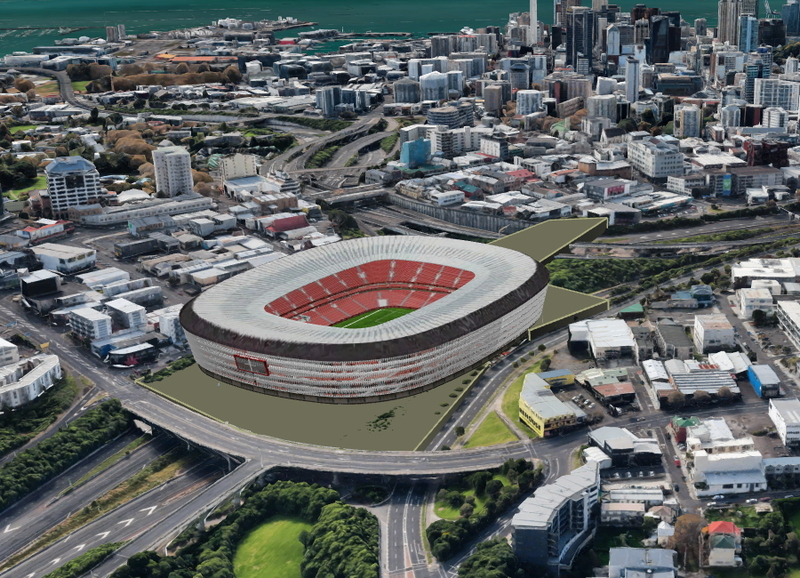 Over the weekend Simon Wilson published two pieces in the NZ Herald on the future of stadiums in Auckland. The first looked at the challenges faced by Eden Park while the second looked towards the future. It has some bold ideas and is well worth a read. I'm not convinced about the waterside stadium - there are some practical concerns as well as environmental. There has been some vocal (and in my view justified) opposition to expansion of the port into the harbour - an entire stadium would never get traction. An alternative that I've seen which might be worth exploring is creating a stadium over the top of spaghetti junction, which might not be as absurd as it sounds. The location is perfect, it doesn't remove any valuable land and it's transport links are undeniable. Obviously this needs proper investigation as do all the possible options which will take time and money. It's important that we get this underway soon or we're at risk of leaving a bigger problem for future Auckland (much like we have with our transport). Start exploring options for a future stadium - the earlier we start the better. Engage widely to ensure we get this right for everyone and secure the necessary funding - not the current mess we have. Support Te Papa North into Manukau - what a great asset for South Auckland. Move speedway and cricket to a more suitable location that works for all parties in a controlled and fair process.